Get ready for the VENUS TRANSIT this year on June 5-6. If you miss it you'll have to wait until 2117. 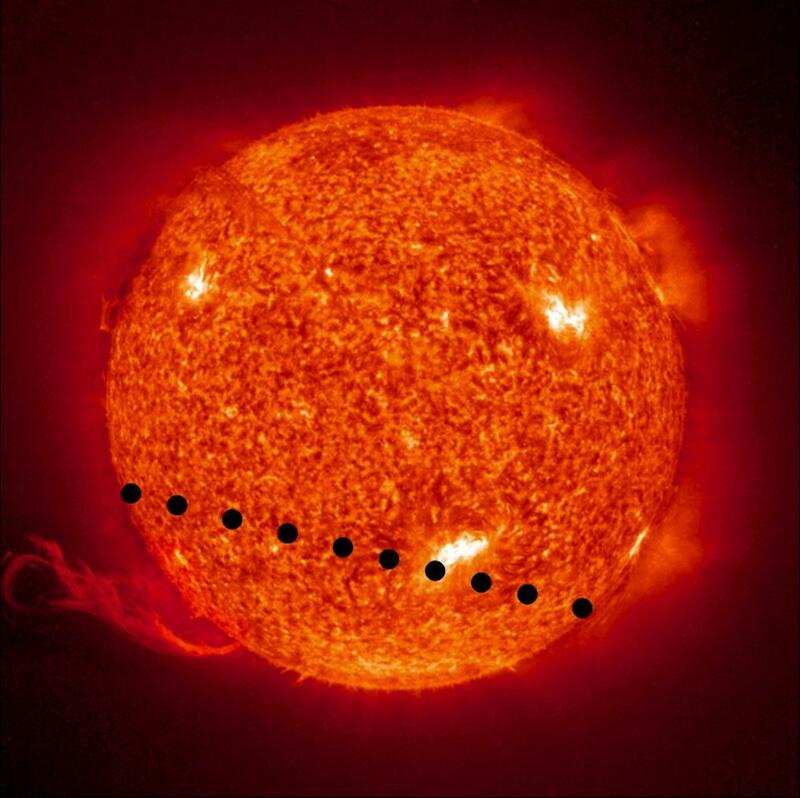 The transits occur when the sun, Earth and Venus all line up and, from our vantage point, we see Venus as a tiny black spot slowly moving across the fiery bright solar disk. SAFETY WARNING: Never, ever look directly at the sun with binoculars, a telescope or any other form of magnifying apparatus. Irreparable damage may be caused to your eyesight. 1. It's possible to safely view the transit by projecting an image of it through binoculars or a telescope onto white card.